As we know from films – still in the analogous world – anonymous letters are prepared from fragmented words cut out of newspapers, sentences assemble from a number of letters glued next to each other – most of the time shortly and straightforwardly. However, the identity of the sender frequently could have been deciphered – the character, the place and time of publishing of the newspapers indicated the author. 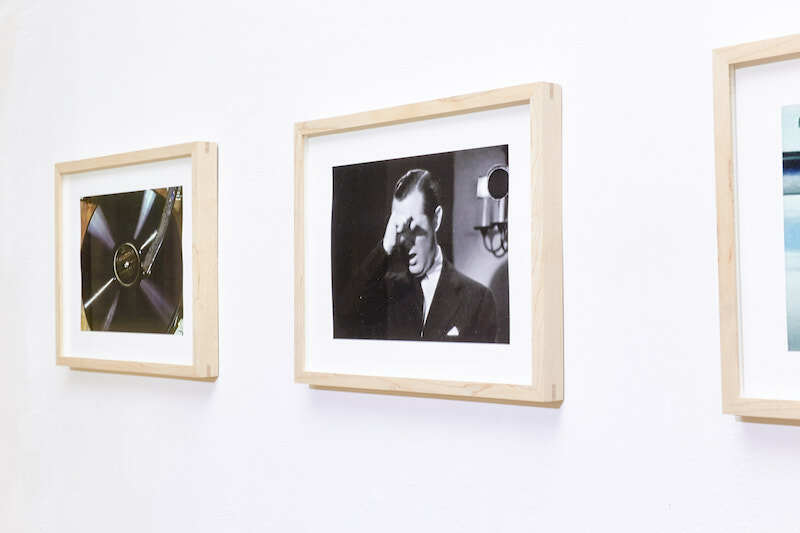 Posing authorship to such challenges, the internationally acknowledged artist, Christoph Girardet edits pieces of films; his raw material comes mostly from the motion pictures of the 50s and the 60s, mostly the forgotten ones among them. Frequently, he follows the same motif through films; he chooses, cuts, and inserts pictures and sequences next to similar ones, this way building up scenes or highlighting the recurring character of the chosen fragment. He creates impressively unique meta-films from the most common details. 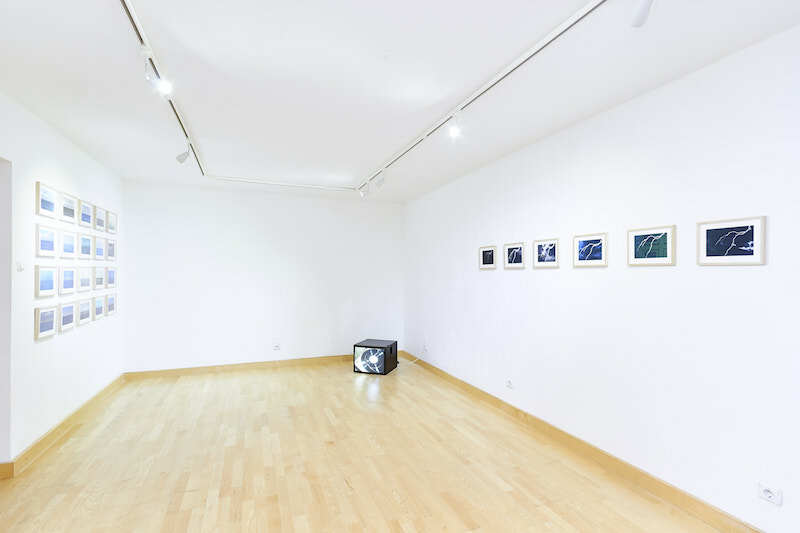 The primary theme of his works is the constructedness of film and film reality which at the same time includes raising awareness to the act of watching a film and also a reflection to this process. The camera slowly turns around in the studio where arts students paint and do modelling. 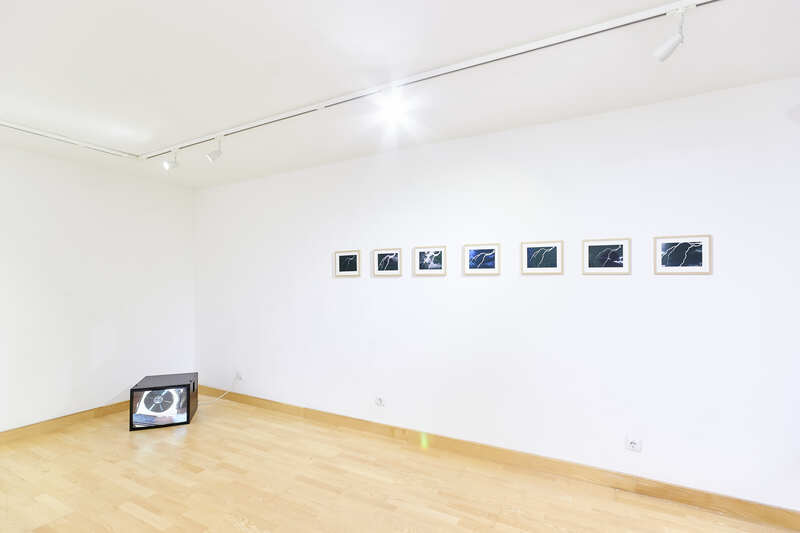 During the two parallel screenings we have the opportunity to see the artists and their models, we can follow how they momently measure their works to the thing to be pictured, how they correct and form them further and further. The two recordings are taken almost from the same angle, the differences between them can hardly be detected at first sight, however, when recordings become diverging and the rhythm tilts, they cannot not be contemplated while comparing them to each other. The work of Christoph Girardet entitled Eternal Lesson consists of to documentary excerpts from 1939, shot from very similar takes. Our eye is scanning to and fro, looking for differences, just like the artists working in the studio. Them, between reality and representation, and us, between two versions of representation, while we are trying to decipher parallel realities drawn in by the spiral of the interpretation of reality layers. 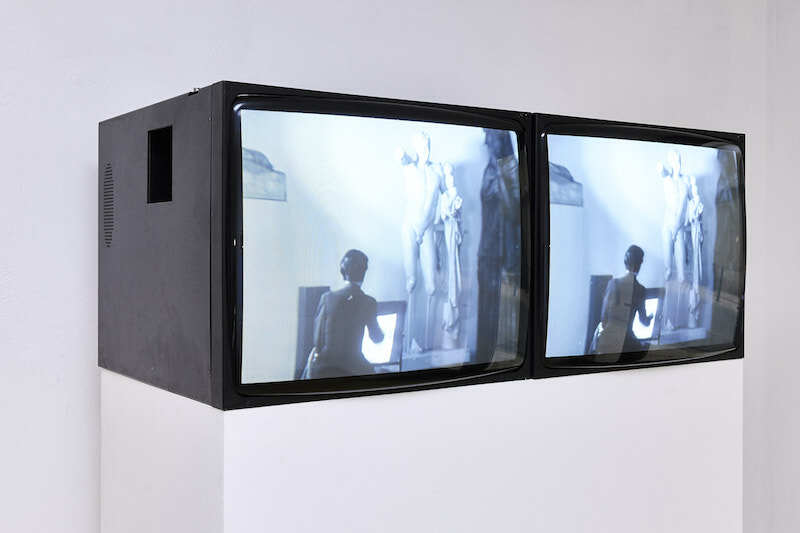 As in Eternal Lesson and on the picture series shown at the exhibition the sequences are adjacent, in the film Scratch they follow each other consecutively, constituting an almost continuous scene. 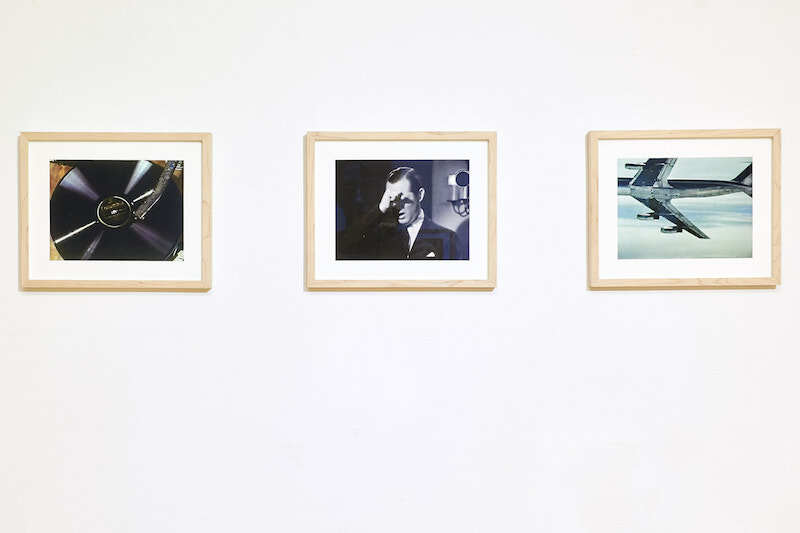 The picture fragment narrowed to the record-player does not even show much more from the source films, the medium is the primary massage which evokes and maintains expectance. The details joined to each other – micro-sequences repeated in themselves – imply the continuous movement of the needle, as if the same record was spinning from the beginning to the end without the actual sounding of the track that was put on. The crackling of the vinyl remains the only sound in the film, the continuous waiting is maintained until the stylus is lifted. The construction of the work highlights the fundamental linearity of films in a way that it also twists it: the film consisting of a series of still pictures here consists of a sequence of loops; the sense of continuity is broken by the slight jumps between the loops, as if the needle rambling the groove of the vinyl record met a number of scratches. Spinning and the repetition of sequences has an immersive rhythm but preoccupation lasts only until the record ends, when a hand suddenly breaks the inactivity and jerks us back to reality. If we regard vinyl records as analogous with roll film, then Scratch is a film which records its own shooting. 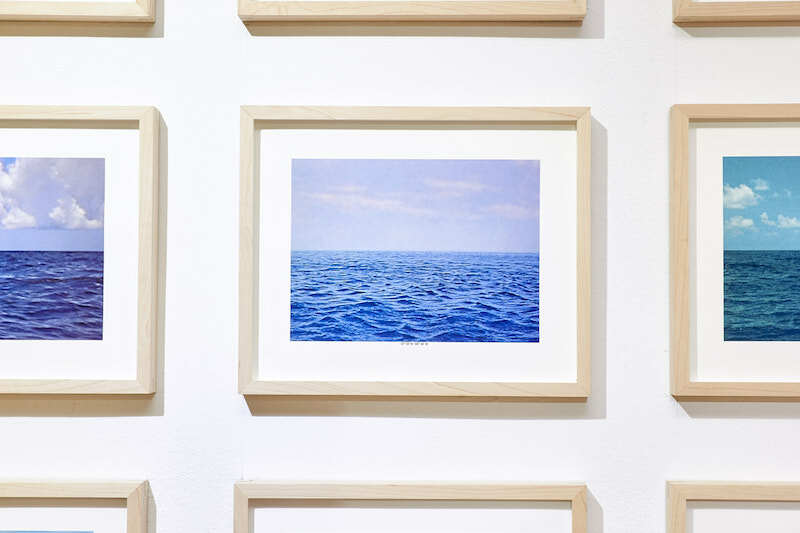 As if we saw the picture frames of one and the same scene in the two series by Girardet presented in Trapéz Gallery – a lighting or the horizon bursting upon our view during a sea-voyage. The sources of the pictures are different though, insofar as they come from several different films, although nearly identical, in case we consider the economy of film industry: these pictorial topoi wander from film to film, creating recyclable raw material for film factories. 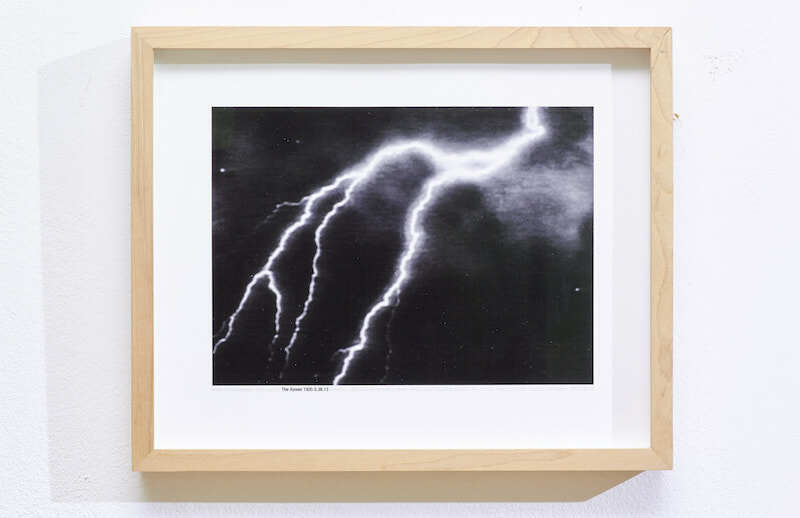 Not every movie can get a new flash of lightning, the flash-effect is also rationalised by mass production of film, while we – as pseudo-viewers – amazedly try to conceive how many hours of watching films is needed to perceive the wandering images (Seven Strokes). 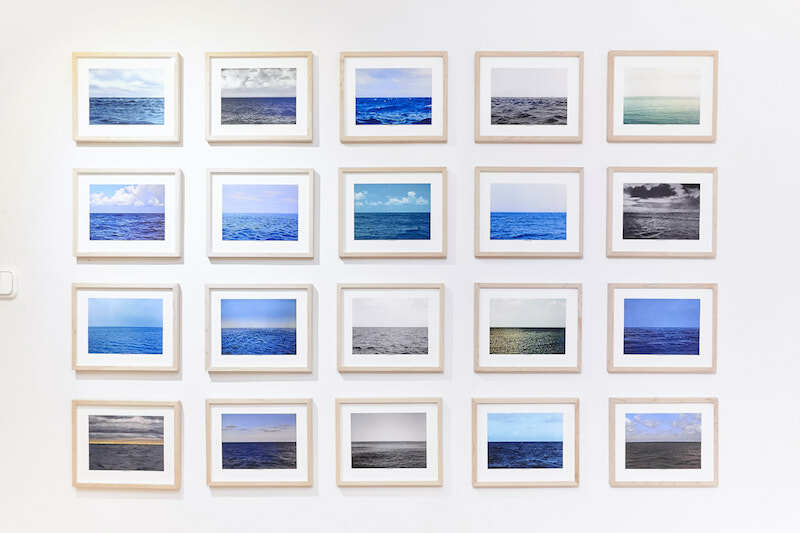 Seascapes series collects sea panoramas of feature films; if we placed the images next to each other, the horizon line would be almost continuous. 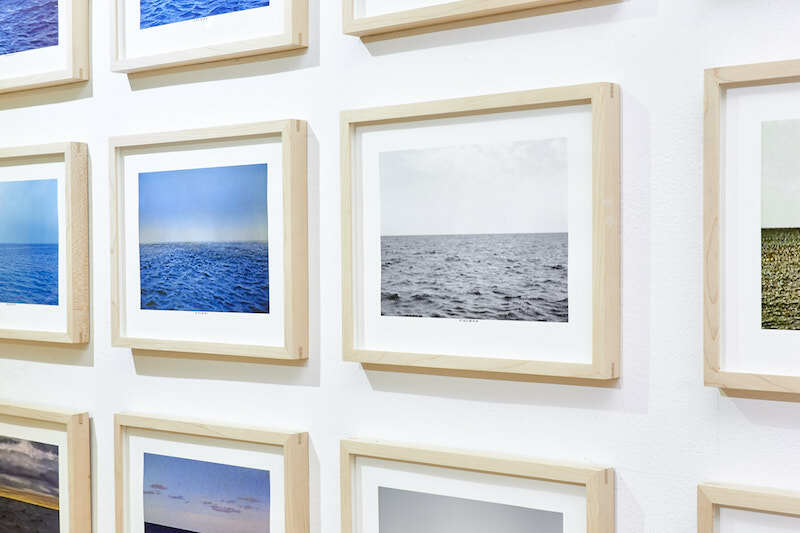 To every image belongs a geographic coordinate – assigned by the artist. By this coordinate, the (fictitious) location of where the picture was prepared can be identified. Based on the stories of given films, positions pointing to real places defined by the artist make the anyway entirely similar sight unique, which were often shot not on external sites but in studios. Professor Lindt hurriedly wipes the blackboard on which he performed his secret calculations. The professor from the Leipzig university wants to try his American colleague, not presuming that in the heat of the scientific duel he tells his most precious secrets to the American spy. 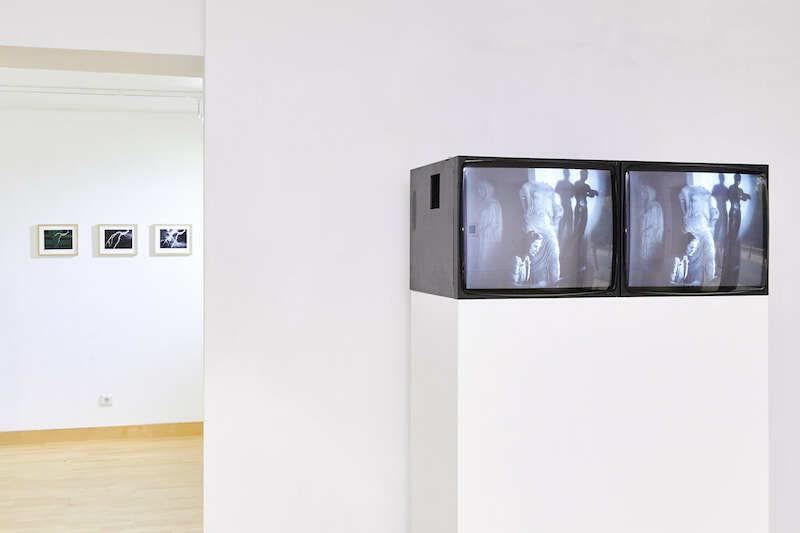 Girardet’s work, entitled Infringed, is a picture frame from Hitchcock’s 1966 spy film Torn Curtain, showing the wiped blackboard. Continuing the Cold War spy story, the artist highlights and at the same time steals this picture frame. The previous equation has already disappeared the next one is not visible yet: this is an almost perfect turning point, tabula rasa, capturing a moment which is ungraspable in the process of watching films. The exhibition and the screening is realized In collaboration with Goethe Institut, Budapest and Gallery Campagne Première, Berlin.